Antara Iron Works started with a desire of giving great products and services to all clients. We are a family-owned business and a woman-owned business. We have great connections to the industry due to our humble beginnings, knocking on construction sites and builders offices to get work. Eventually we escalated to have our own warehouse our portfolio of clients and now enjoy collaborating on the construction and design of million dollar custom homes. We got into the steel business in particular because, being raised in Monterrey, Mexico - which is the steel city of Mexico - we feel a special connection to this line of work. You can find the best steel ornaments and designs plus the best quality there. We found a love for steel and that is what we are bringing to the table today. We are confident in our ability to help our clients through both the good and the bad. We love design, and have a knack for it, and therefore and recommend what is the best product for the project. We treat all of the projects like they were ours. Everything we do revolves around achieving the best possible final product and ensuring the happiness and satisfaction the client. We have a tremendous loyalty to all of our clients. If we give our word, we always accomplish the task. We go the extra mile for the project to look amazing. Our favorite part of working on every project is seeing the final product and establishing trust within our clients. Our favorite thing of working with our clients is that we see their vision of what they want, we help them with custom design, and then seeing their reaction when we make it happen. The best part is watching how they smile from ear to ear when we make their vision come true. All of our team at Antara team is ambitious, loyal, dedicated, and trustworthy. We are experienced in our craft and strive to provide the best services and products, no matter your location. We like to stay in contact with every client, to check in and see if there isn’t more we can help with, or make sure they are still happy with the product as well as share them some of our recent projects! Masters of Talavera Tile and More In the small town of Dolores Hidalgo, Guanajuato, located 150 miles northwest of Mexico City, you will discover a national treasure. In 1929, Don Francisco Olguin Hobart began to create original Talavera tile. He maintained careful control of all tile designs and color tones then passed on his "artesanal" traditions to his son, Hugo Olguin and his family, to carry on as they have for centuries before. Labor is performed by hand and foot, as the clay is crushed in much the same way Italians crush grapes. The clay blocks are then molded, scored and cut to size. Each tile is then individually hand painted by Talavera artisans. Consorcio Artesanal, LLC, the parent company of Clay Imports Artesanal, has produced Talavera tile and the new Alhambra Series tile for many famous, architecturally-rich structures including the remarkable Museo Nacional de Niño’s (National Children’s Museum); the Palacio Nacional de Bellas Artes. (National Palace of Artists) and the Centro Nacional de Las Artes (National Center for the Arts). All are located in the Federal District of Mexico City. Clay Imports Artesanal has one objective. Provide Talavera tile of true source and craftsmanship from the largest inventory located at our warehouse in Austin, Texas, USA. We invite you to visit our Talavera factory if you plan to visit the area, in the meantime, you are only a click away from your Talavera selection or to answer any questions you may have. Our Talavera, Alhambra and Cotto San Miguel tile are ASTM tested for absorption, temperature extremes and durability. And we are the only producer of RoHS-compliant LEAD FREE tile. Color. Durability. Texture. Design and Artistry. You feel the quality of Clay Import Artesanal’s Talavera tile in your hands and see it with your eyes. 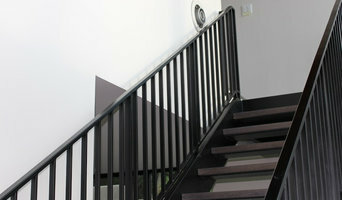 I fabricate custom steel railings and stairs,awnings,carports and structural fabrication services as well. RC Custom Rails and Doors is a company dedicated to do quality jobs, designing and producing residential and commercial railing systems and custom Doors. we offer fabrication and installation of custom rails and doors, contemporary and production of some of the finest cable railing systems. 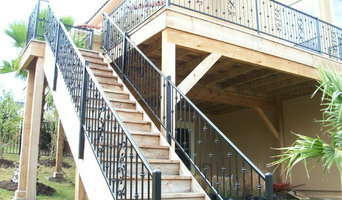 Our railings are a superior choice for deck railings, fencing, and stair railings. RC Custom Rails and Doors offer some of the highest quality, most aesthetically pleasing, and cost effective custom rails, cable railing systems and iron doors. Stairs, staircases, railings of all varieties.